Have a little puzzle hog in your home? My boys love puzzles and master them all too quickly before sniffing a new one out. Time to get them something more open-ended! Watch your me-time expand when you give them a Ball of Whacks – we first featured it way back in April 2007 when Babyology was a wee newborn. It’s a puzzle made from thirty pyramids and held together with 180 super-strong magnets. 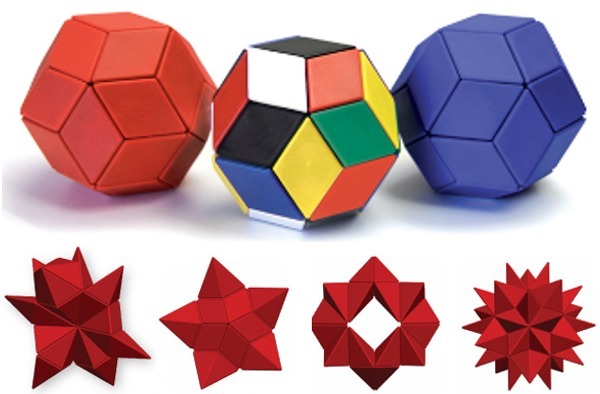 It’s a great shape-making activity to do together, and you may just end up being as enthralled as they are. Each puzzle is $45 and now available locally through Smarter Puzzles, who also have spare pieces for sale at just $2.50 a pop if any should go walkabout. You can have one in black, red or blue, with a six colour option also available. Buy two or more items and shipping is free! Take a look at the video below for a demonstration.